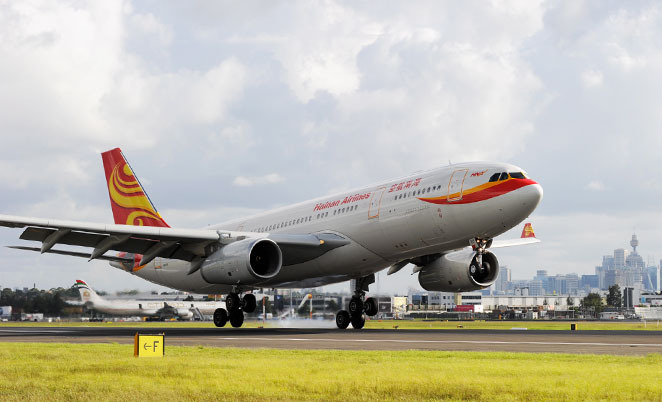 An MoU has been signed between the owners of Avalon Airport, Linfox Group, and HNA Group Hainan Airlines to commence international services into Avalon. The MoU, signed on the sidelines of Prime Minister Tony Abbott’s trade mission to China, commits Linfox Group to assist HNA Group to start an aviation service between Australia and China within 18 months using Avalon Airport as a base. Maybe the government will build the rail link from Lara to Avalon or else passengers will vote with their feet. Imagine with lower airport & car parking costs at AVV & Chinese who seem to undercut everyone, there will be the cheapest airfares out of any Melbourne airport to the rest of the world. I first flew Hainan Airlines 8 years ago in China and was very impressed with their service and planes. If course… Only Hainan would make a move like that. It’s just short of absolutely ridiculous.